Providing on-demand medical equipment solutions in a simple, efficient, transparent, and cost-effective manner. MediLogix provides the industry's safest, most clinically effective products. 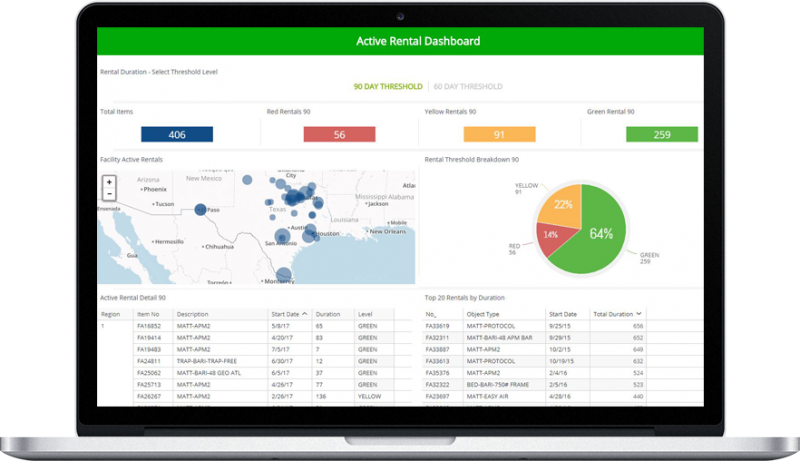 Our Customer Portal with MxAnalytics empowers you to manage your rental programs with dashboard reports and drill down capabilities. Transparency that enables cost control has never been more important. Empower care providers to deliver continuity of care with the industry's safest and most clinically effective products. Realize the benefits of unprecedented continuity of care for care providers and residents. Provide medical equipment solutions in a simple, efficient, transparent, and cost effective manner. With more than two decades of experience in a CEO role, Harry provides the company with strategic direction and day to day leadership. He is responsible for partnerships, joint ventures and other initiatives that drive innovation and add value and create success for our customer, suppliers and employees. Harry is passionate in his pursuit for developing a strong business culture within MediLogix with clarity of purpose, vision and mission. Doug oversees all aspects of operations and Information Technology. Doug developed the MediLogix IT infrastructure and led the implementations of ERP and mobile field service systems, business intelligence and reporting, and customer portal applications. With over 26 years of experience in information technology and operations, Doug’s experience spans all aspects of information technology and operations. He joined Mr. Felber in 1999 and has had leadership roles in three business ventures. Kristen is a seasoned CPA with responsibility for the overall financial management of MediLogix. She oversees financial reporting, budgeting, payroll, banking relationships, audit management and overall financial analysis of all aspects for MediLogix. Kristen has extensive experience in financial planning and analysis, regulatory compliance, developing accounting controls, and systems management. At MediLogix, she has employed these strengths to manage the company’s financial strategy and help create a strong financial platform to support the company’s growth. Alan oversees all aspects of MediLogix legal affairs including compliance, customer contracts, facility leases, employment and HR issues, licensing, litigation etc. A graduate of Tufts University and the University of Chicago Law School, Alan practiced law for more than 35 years at Hahn Loeser & Parks LLP in Cleveland, where he worked on complex business litigation and large commercial transactions for many Fortune 500 and middle market companies, and government entities throughout the United States. Carlos is responsible for all aspects of business development and customer account management for MediLogix. He is the consummate player coach, able to develop talent and lead them to success. Raised in the long-term care industry with a father and other professionals who helped pioneer long term care as we know it today. Jenny is responsible for managing MediLogix’s field operations, including overseeing the company’s Regional Operations Managers, purchasing department, special projects, the dispatch department and asset management. She oversees the implementation process for all new customers being onboarded. Jenny is also MediLogix’s Chief Compliance Officer and responsible for ensuring compliance to ACHC, (a certified CMS credentialing agency) ensuring compliance with the standards mandated across MediLogix’s many physical locations throughout the United States. 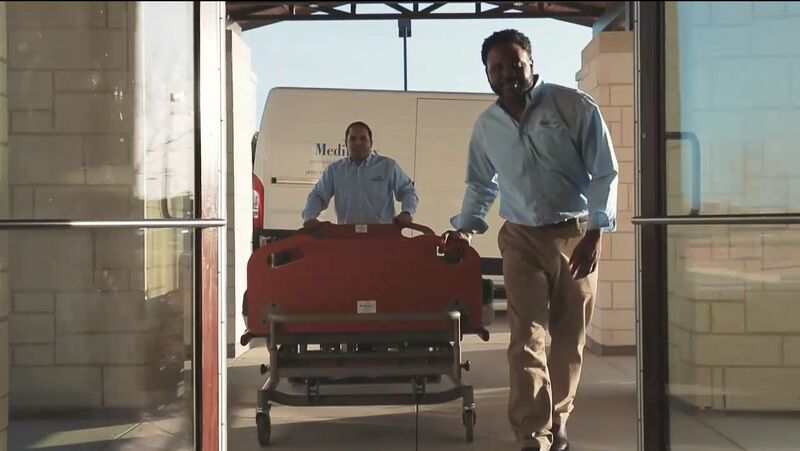 We're a nationwide team dedicated to supporting your on-demand medical equipment needs.